Sign up for Broadjam today to follow Floating Pointe, and be notified when they upload new stuff or update their news! 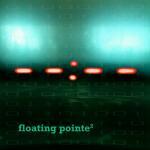 Floating Pointe has been fine tuning this collection of songs over the last 6 years while performing all over the Northwestern United States. It is a smooth blend of Layered Vocals, String instruments, and lots of percussion. There were no samples or sequencers used on this CD. The band wanted a recording that matches closer to the live experience, and with this release, they did it. You will also hear the occasional Hammer Dulcimer, Banjo, Melodica, Piano, or Glockenspiel mixed into the groove. Eclectic Northwest Music goodness for your ears.